Between 7-10 April 2016 at the Kubicki Arcades of the Royal Castle in Warsaw were held XXII Fair of Catholic Publishers. Association of Catholic Publishers awarded traditional PHOENIXES - awards for outstanding publications. Among the prize-winning books were the publication of the Learned Society of KUL. - In the category "Translation" Phoenix has been granted to the Aeschylus' “Tragedies Volume I: The Persians, Seven against Thebes, The Suppliants, Prometheus Bound", translator Prof. Dr habil. Robert Chodkowski. 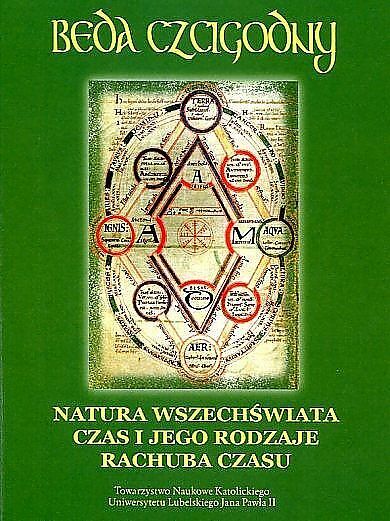 In the same category "Translation" award received another book published by our Society: "On the Nature of Things. On Time. On the Reckoning of Time"by the Venerable Bede. The series includes six volumes: "Metaethics", "Independent Ethics", "Revealing the Person", "Freedom in the Truth", "Man as the gift", "Witness of the Truth". The awards PHOENIX 2016 and Festive Concert by the Orchestra of the Polish Chamber Opera took place on 9th April 2016 at the Basilica of the Sacred Heart of Jesus in Warsaw.